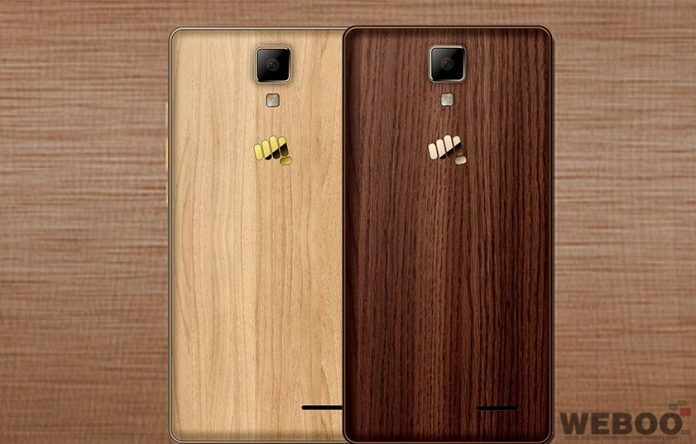 Micromax has added a touch of wooden finish to its Canvas 5 Lite smartphone. The Canvas 5 Lite Special Edition is offered in two wood finishes; maple and walnut. The Canvas 5 Lite is a budget-friendly smartphone packed with low-end hardware specs. The Canvas 5 Lite Special Edition comes with a 5-inch 720p HD screen, 1.0GHz MediaTek MTK6735P chipset, 3GB of RAM, 16GB of expandable internal storage, 2,000mAh battery, 8MP RF + 5MP FF cameras, 4G LTE connectivity with Dual SIM connection and FM radio. The Micromax Canvas 5 Lite Special Edition is priced at Rs. 8,499 (~$127) in India. It should be made available for sale through local online retailers such as; Amazon.in, Flipkart.com and Snapdeal.com.